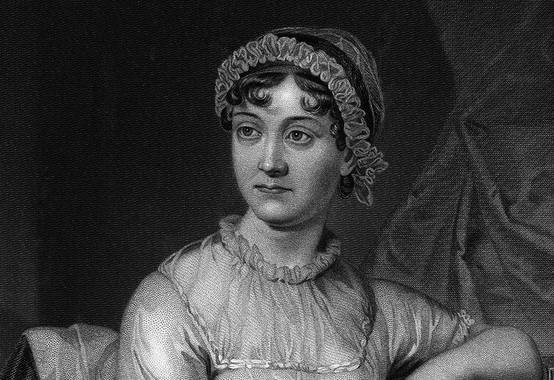 Why does Jane Austen feel so much like our contemporary? Is it the way she has been appropriated by popular culture, turned into a vampish, modern consumer icon in adaptations like From Prada to Nada, Clueless, and Bridget Jones’ Diary? Do these candy-colored updates of Austen truly represent the spirit of the late 18th/early 19th century novelist’s world? Or do we gravitate toward Austen because of nostalgia for a simpler, almost pre-industrial time, when—as in the rather reactionary world of Downton Abbey—the comings and goings in a single household constituted an entire human society? Why not both? As the writers and artists in the video above from the Morgan Library assert, Austen, like Shakespeare, is a writer for every age. “The Divine Jane” as the title dubs her, had an insight into human behavior that transcends the particulars of her historical moment. But of course, the context of Austen’s fiction—a time of great English country houses and an emerging class-consciousness based on rapidly changing social arrangements—is no mere backdrop. Like Shakespeare, we need to understand Austen on her own terms as much as we enjoy her wit transposed into our own. The Morgan Library’s “A Woman’s Wit” exhibit, moved online since its debut in the physical space in 2009, offers an excellent collection of resources for scholars and lay readers to discover Austen’s world through her correspondence and manuscripts. You’ll also find there drawings by Austen and her contemporaries and commentary from a number of twentieth century writers inspired by her work. Much of the Austen-mania of the past several years treats the novelist as a more-or-less postmodern ironist—“hotter,” wrote Martin Amis in 1996, “than Quentin Tarantino.” That she has become such fodder for films, both good and frankly terrible, can obscure her obsession with language, one represented by her novels, of course, as well as by her letters—so lively and immediate so as to have inspired a “Perfect Love Letter” competition among Austen enthusiasts. As for the novels, well, there really is no substitute. Dressing Austen up in Prada and Gucci and recasting her bumbling suitors and impish heroines as mall-savvy teenage Americans has—one hopes—been done enough. Let not Austen’s appeal to our age eclipse the rich, fine-grained observations she made of hers. Whether you’re new to Austen or a lifelong reader, her work is always available, as she intended it to be experienced, on the page—or, er… the screen… thanks to internet publishing and organizations like Project Gutenberg, Librivox and the University of Adelaide’s eBook library. At the links below, you can find all of Austen’s major works in various eBook and audio formats. So by all means, enjoy the modern classic Clueless, that hilarious rendition of Austen’s Emma. And by all means, read Emma, and Pride and Prejudice, and Mansfield Park, and… well, you get the idea…. Thank you those that created this website, and for Jane Austen for her amazing work that she has done and also provided for us. -OLD WOMEN AND LOVER OF ALL THE JANE AUSTEN BOOKS! !